Close protection, door supervisor up skilling, Security guards, physical intervention, conflict management and security courses. First aid at work courses, first aid at work – re-qualification, first aid at work – level 2, annual first aid refresher, automatic external defibrillator training. General fire safety in England and Wales is maintained through compliance with the Regulatory Reform (Fire Safety) Order 2005. Fire training and Health & Safety training. Standtu deals with operational and training for the security industry. Encompassing corporate and low level events, our backgrounds are proven from the military and are of the highest calibre, where we offer a wide range of services, part of which we provide executive close protection the UK and Overseas. Standtu are able to provide male and female operatives. We specialise in the deployment of Personal Security Details (PSD) or single Close Protection (CP) operators. 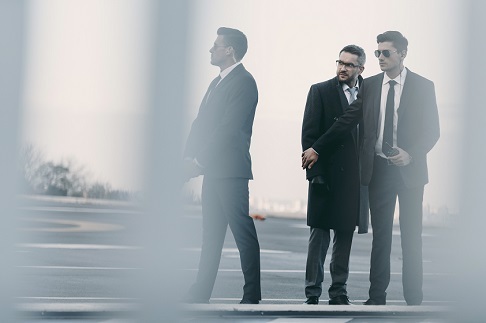 The company operates a dedicated Executive Protection service for VIPs, High Net Worth Individuals, Corporate clients and the Entertainment and Arts industry. We have strong links and association with with knight International of Hereford and are their prefered training provider. We are very particular in choosing our Close Protection teams. In using operatives who have trained with specific organisations, this enables us to ensure a quality and integrity so that you the client always receive the best. Our staff are UK licensed by the Security Industry Authority (SIA), vetted and highly trained. Whether you’re looking for security guard presence in a public building or construction site security with Manned Guarding, VIP security with Close Protection, private security, event security, school security, office security, site security, building security or wish to safeguard where you live or work with Residential Patrols, Mobile Security and Security Systems Standtu can offer you the confidence, dependability. Standtu offer professional personal safety and security training packages for the security industry. The Services we offer are bespoke for each client) either as a business or individual level. Specialists in operational and corporate private security specialists, close protection. Providers in security and medical training. Being a first aider can be a daunting responsibility and accidents and illness can happen in the workplace at anytime. For this reason, the best quality training is very important. We think the best people to provide this training are experts who have had years of experience dealing with real emergencies. Having firsthand knowledge and experience enables them to relate the training to real life scenarios making the training more interesting and relevant for our students. StandTu is unique and stands proud! As a leading Operational and Training company we offer our services to all our clients that are bespoke to their needs. Our Specialist Trainers have a worked extensively in the industries that they teach which enables them to pass on their diverse and in-depth experiences first hand, delivering more concise, realistic and practical training. We offer specialist services such as Surveillance, Private Investigation, Security Audits, Hostile Environment Awareness Training (HEAT), Drugs Awareness, and Drug Testing . Security service, trusted, experienced. Personal security I have used time and time again. I can’t recommend StandTu Security and the services enough. Simply top security support.